The place was Shamkir, Azerbaijan’s eighth-largest city where an annual elite chess tournament in memory of Azerbaijani GM Vugar Gashimov is currently in progress. Carlsen, playing with the white pieces, won the game and is one of three joint leaders going into the third round. Anand, who had earlier drawn against Czech GM David Navara, joins three other players at the bottom of the table. 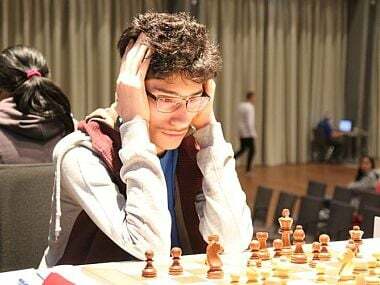 Both the current and former world champion first met in June 2005 at the Ciudad de León tournament in Spain where Anand had no trouble defeating Carlsen, then just a 14-year-old. 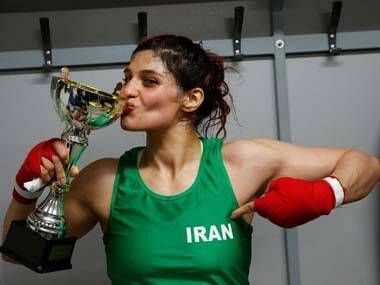 With the exception of some blitz and rapid tournaments, this pattern continued till 2012, through tournaments such as Corus (now Tata Steel), Linares, Mainz Chess Classic, Grand Slam Final, Tal Memorial and London Chess Classic where the players either drew or Anand won. It was clear that Anand was the stronger player as compared to Carlsen. 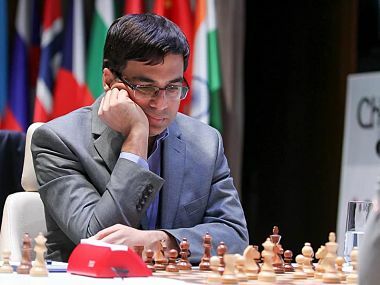 Anand held the undisputed world chess champion title from 2007 to 2013. In 2012, the tide began turning when Carlsen won the Grand Slam Final, played in Sao Paulo, Brazil and Bilbao, Spain, ahead of Anand after defeating him with a score of 4-1 (3 points for a win and 1 for a draw) in the semi-final stage. By the time they met at the Tal Memorial in June 2013, Carlsen had a FIDE rating of 2,864 while Anand was at 2,786 — a difference of 78 points! At their level, this difference isn’t insignificant and Carlsen defeated the then world champion once more, missing out on first place at the tournament by a whisker. Any Indian chess fan worth his salt knows what happened in November 2013 to change this equation firmly in favour of Carlsen. Over ten games played at the Hyatt Regency in India’s chess capital of Chennai, with seven draws, three wins for Carlsen and none for Anand, Carlsen, aged 22, became one of the youngest chess champions the world has seen (tying with Russian GM Garry Kasparov). Anand had an opportunity to reclaim the World Championship a year later in November 2014 when he became the challenger in Sochi, Russia. This time, Anand was able to squeeze out one victory in their eleven games, but Carlsen was clearly the stronger player and deserved retaining the World Championship with his three wins. Since that World Championship match in Russia, Anand hasn’t been entirely dominated by Carlsen, managing one win against him at the 2015 Norway Chess event in Stavanger, but with Monday’s result the ratio of wins to losses is becoming decidedly lopsided, at least in classical games (3:1 in favour of Carlsen). 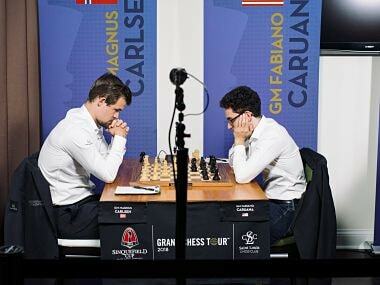 One thing that is definitely working in Carlsen’s favour is the age difference. Anand, now 49, is no longer the same player as he was once upon a time. His reflexes have slowed down, he is much slower in his calculations and most of all Carlsen’s favourite method of playing, which is to grind down his opponents over a long game of chess is exactly the type which Anand is not comfortable anymore. In the press conference after their game at Shamkir, Carlsen said, “Anand is still very strong, but sometimes he suffers from lack of concentration and you could see that today." Usually with growing age, the one thing that players find extremely hard to keep up with is the sea of information in the opening phase of the game. 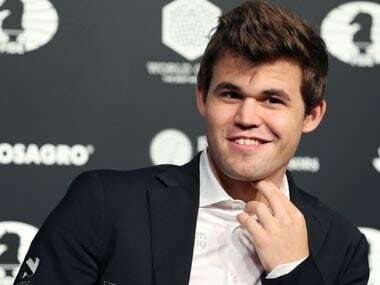 Youngsters like Carlsen, Fabiano Caruana, Anish Giri and Sergey Karjakin are constantly updating themselves with new ideas in the opening and facing them in a super tournament is like putting your foot on a field with landmines. One wrong step and you are entangled in their home preparation. But Anand has not fallen prey to this. His immense love for the game has kept up with his ability to work hard and at the same time his experience of playing five World Championships matches and against top players over two decades holds him in good stead. His second, Grzegorz Gajewski, also does some excellent work behind the scenes to ensure that Anand is updated with the latest wrinkles in the Ruy Lopez or the Italian game. So, it is not the preparation that affects Anand and we do not see this to be factor even in the years to come. Right now, the main reason for Carlsen’s success against Anand is the Norwegian’s ability to push endlessly in equal or slightly better middle game/end games. Carlsen has this uncanny ability to find resources in equal positions which is quite unparalleled in the world of chess. Constantly having to calculate the best moves is what takes a toll on Anand. This battle of stamina is where Anand is lacking and as time goes on we do not think this trend is going to change.